In the world of saltwater fishing, there is a time and a place for artificial lures. At times, there is no better choice than a top water plug splashing across the surface or a 16 oz. diamond jig being dropped quickly to the bottom to intercept a school of bluefish. And, at other times, there is no better choice than fresh live bait plucked right from the ocean. 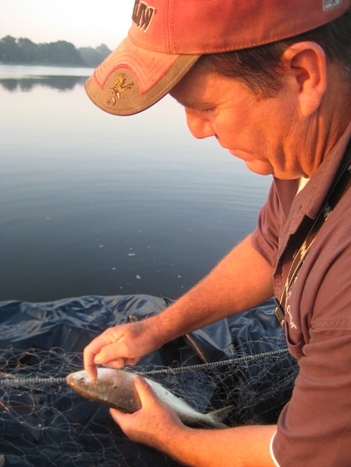 Using a gill net can be a great way to get fresh live bait. The problem is you can spend a small fortune stocking up on live baits at a bait shop. Then, the bait must be transported to the boat and then take the ride in the live well to the fishing grounds. All this time, your bait is getting more and more stressed. In addition, the baits you are seeking may not even be available from your local bait shops. At that point, if you want to use your preferred baits, you’ll have to acquire them yourself. In the northeast, we spend a lot of time chasing striped bass. One of the stripers’ favorite food sources is menhaden, also known locally as bunker. Now, you can find bunker at most any bait shop but they are always frozen and not necessarily very fresh. But, if you know where to look, you can find bunker schooling by the thousands and can catch them with ease using snagging hooks or cast nets. They will stay alive for hours in a round, circulating live well and will generally out fish any frozen or dead bait. Any bait that doesn’t survive can be saved and frozen for future use as a back up bait in the event that you cannot locate a live bait source during a future trip. Fluke fishing is another venue where live bait can really excel yet most fluke fishermen tend to take the easy route of using dead, frozen bait. Using live bait can really give an angler an edge over his fellow fishermen in this respect. Mummichogs, or mummies, are a delicacy for summer flounder. They can be found in saltwater creeks, river mouths and shallow estuaries along the coast. Marinas can be a favorite hang out for mummies. A simple minnow trap baited with a can of wet cat food can be full of mummies in 30 minutes if dropped in the right location. 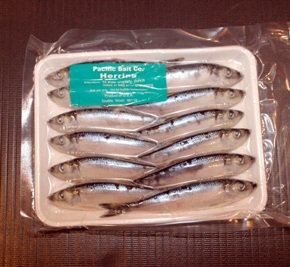 Using frozen bait is easy and effective, especialy for fish like fluke and other bottom feeding fish. The most popular bait in the northeast for blackfish is the green crab. During blackfish season, most all bait shops will stock green crabs but they are not cheap. And, you need a lot of them since blackfish are experts at stealing bait off the hook. An angler can save themselves plenty of cash by investing in a cheap crab trap. Green crabs and Asian crabs can be found by the thousands around rocks, jetties, docks, marinas and creeks. A filleted fish carcass is the best bait to load the trap with. In productive crabbing locations, you can fill a 5 gallon bucket in an hour. Catching your own bait can not only save you money. It can also be just as rewarding as fishing for game fish. It will also teach you more about your intended quarry and make you a more well rounded and resourceful angler.